The boom that was expected never came to fruition, and with the Greek government freezing its financial system, brokers expecting an influx of Greek money have missed that opportunity. The Greek government, headed by Prime Minister Alexis Tsiparas, has effectively frozen its financial system by closing banks and the country’s stock market in a bid to curb mass withdrawals. 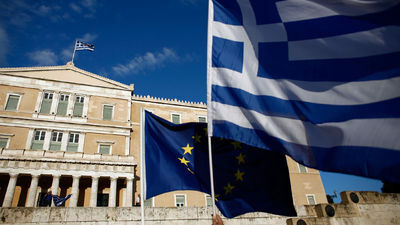 The move was made shortly after the European Central Bank refused to expand the emergency loan program that has been used to keep Greek banks afloat. In February, Dr. Sherry Cooper, chief economist with Dominion Lending Centres told MortgageBrokerNews.ca that, due to political uncertainty, nationals from Greece were expected to move their money out-of-country and into the Canadian real estate market. Panagakos received a number of inquiries at the time. “I’m getting calls and emails from people in Greece that are transferring here and they want direction; how much money is going to flow into here?” he told MortgageBrokerNews.ca in February. “We know billions of dollars are leaving the country every week because of uncertainty and where that money is going we don’t know. However, that never really came to fruition and it seems like the opportunity has passed.